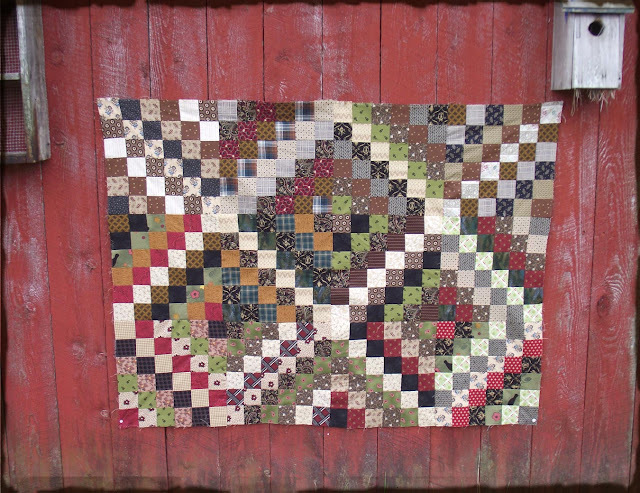 Make these blocks using an easy, strip pieced technique. The basic block measures 12", and has scan be set in so many ways. Quick and easy to make, it's a great way to use up odds and ends of stash fabrics. You will want a variety of fabrics, and more is better this time. You'll need at least one dark and one light strip for each block, plus 4 other strips. Repeating fabrics is fine, don't think of this as a charm quilt.